This study, written in the context of its first publication in 1970, discusses and documents the invasion of privacy by the corporation and the social institution in the search for efficiency in information processing. 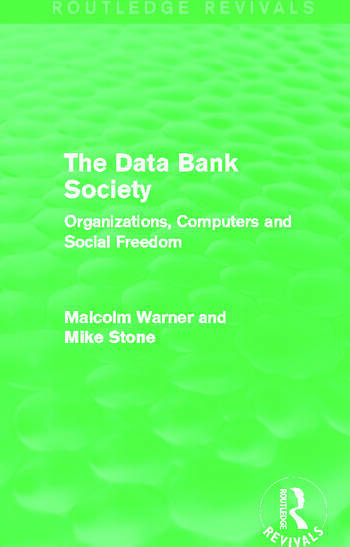 Discussing areas such as the impact of the computer on administration, privacy and the storage on information, the authors assess the technical and social feasibility of constructing integrated data banks to cover the details of populations. The book was hugely influential both in terms of scholarship and legislation, and the years following saw the Data Protection Act of 1984, which was then consolidated by the Act of 1998. The topics under discussion remain of great concern to the public in our increasingly web-based world, ensuring the continued relevance of this title to academics and students with an interest in data protection and public privacy.